Do any of you out there get book deal alerts from BookBub? I get them every day, and they highlight ebooks of interest to me which are free or marked down for a period of time from a variety of retailers. 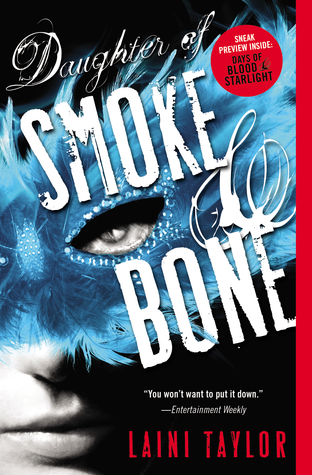 Today’s email featured Daughter of Smoke & Bone. I know a lot of you out there love this series. I took the opportunity to get the ebook at the basement bargain price of $2.99 (on sale through 29 June 2015). Thought I would just pass the word on for any others like me who haven’t picked this one up yet. And if you haven’t signed up for BookBub yet I highly recommend it. I’ve found some fun books on there. ← Release date set for new Cormoran Strike novel.